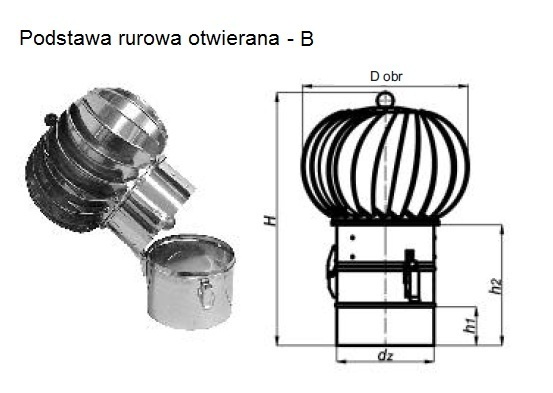 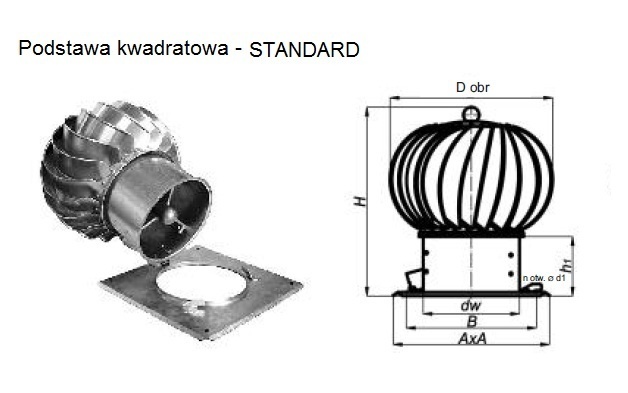 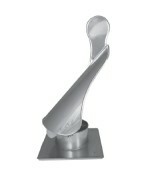 Rotating chimney cowls are devices using the wind power to support chimney draft. 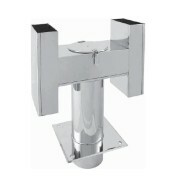 Thanks to the unique construction they are characterized by high efficiency, durability and quiet operation. 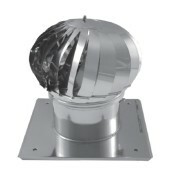 They are mounted on the chimney vent of gravity ventilation. 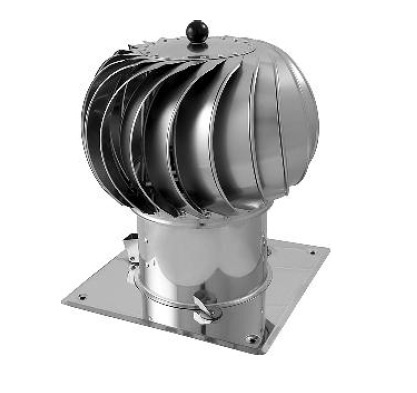 The capacity of the base is proportional to the speed of the blowing wind and is not dependent on its direction and angle of attack.